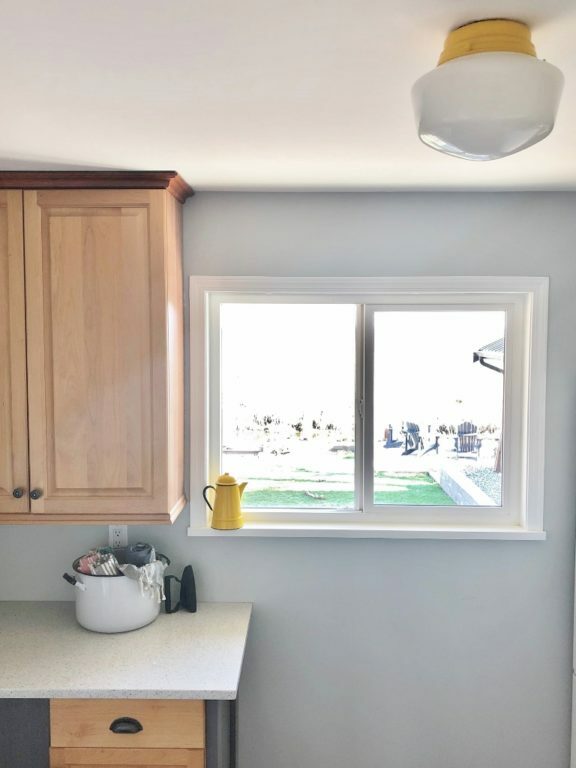 With two of their four children still living at home, Lori-Ann and John created more space by removing walls and opening the kitchen and living space for more flow. They added character with industrial touches and a hint of vintage as well. 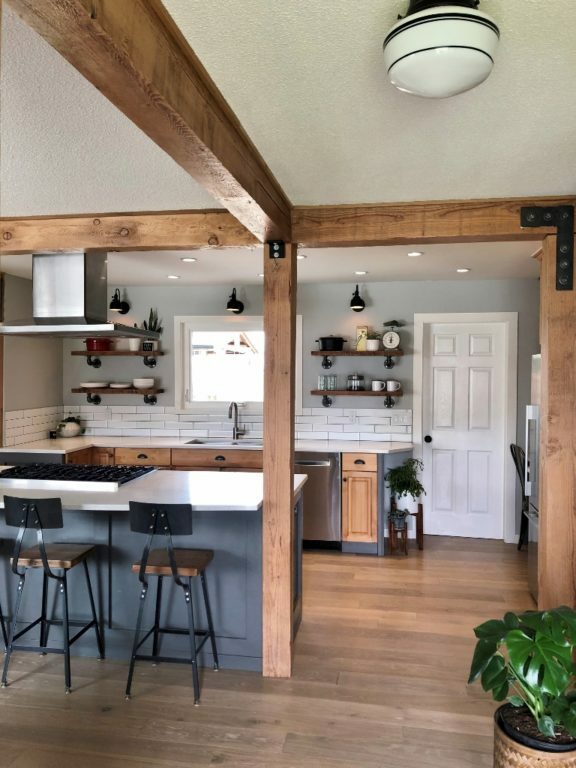 Barn wall sconces in the kitchen along with schoolhouse lights in the hallway add the distinctive touch they were striving for. 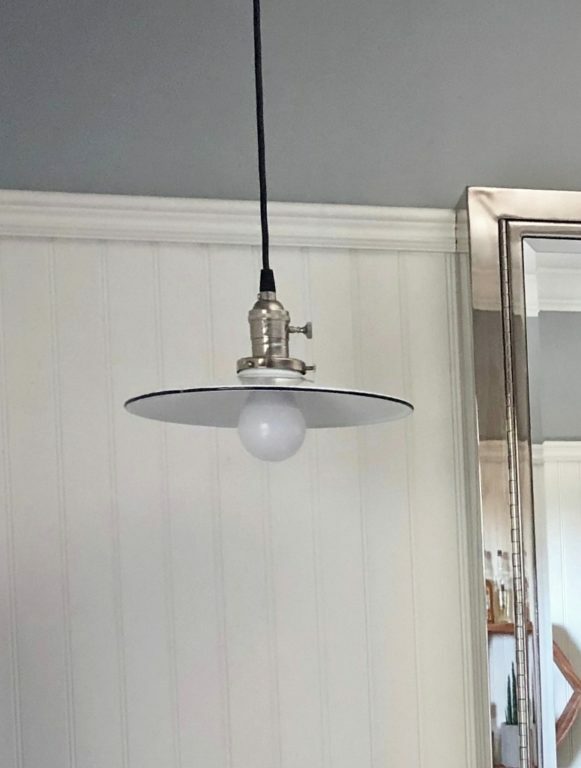 Today, we continue our tour and find that the Letterman Schoolhouse Flush Mount Light Lori chose for her hallway also makes an appearance in the mud room. 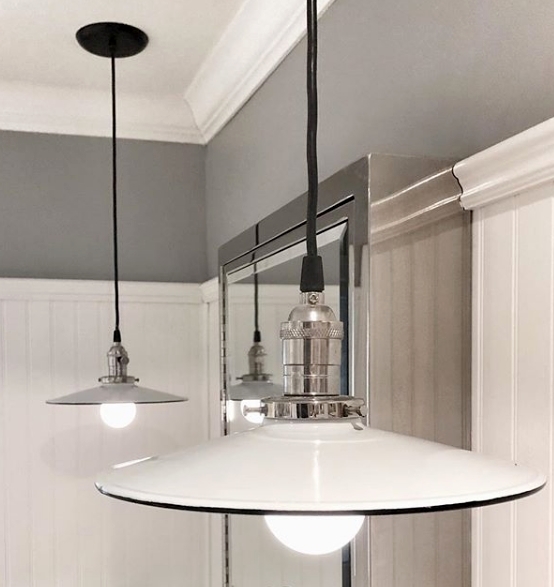 While the hall lights were customized with Black fitters and triple painted bands of Black, the mud room fixture features a Buttery Yellow fitter with no banding on the opaque globe. “We wanted a fun, bright color in the room, something unexpected, but that was cohesive with the rest of the house,” Lori-Ann says. 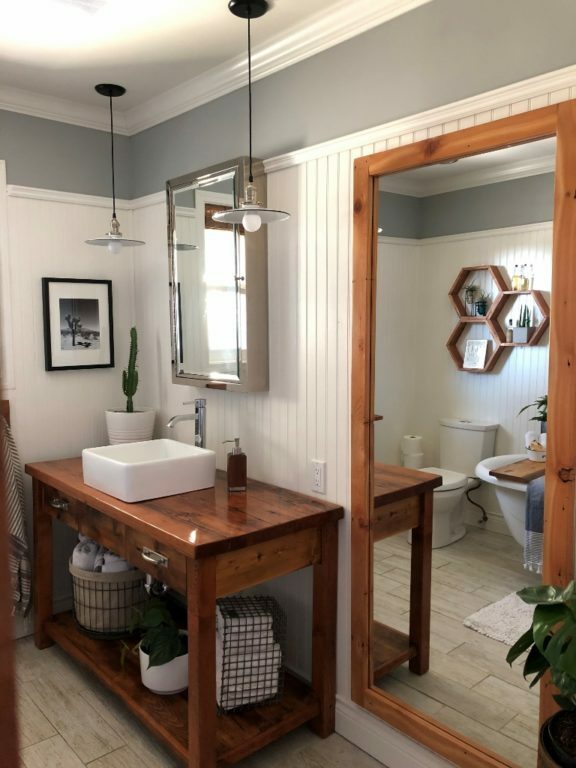 For the master bathroom, Lori-Ann wanted a true vintage feel so she searched the Barn Light Electric website for porcelain enamel lights. Barn Light is the only company in America manufacturing porcelain lighting much in the same way it was almost 100 years ago — by hand and with careful attention to every detail. Because our lights are handcrafted, sometimes small imperfections can occur. These fixtures are completely functional and are listed in our Porcelain Discount Lighting section. Lori-Ann chose the 10″ Porcelain White Conoco Shade with a Polished Nickel socket and knob switch. 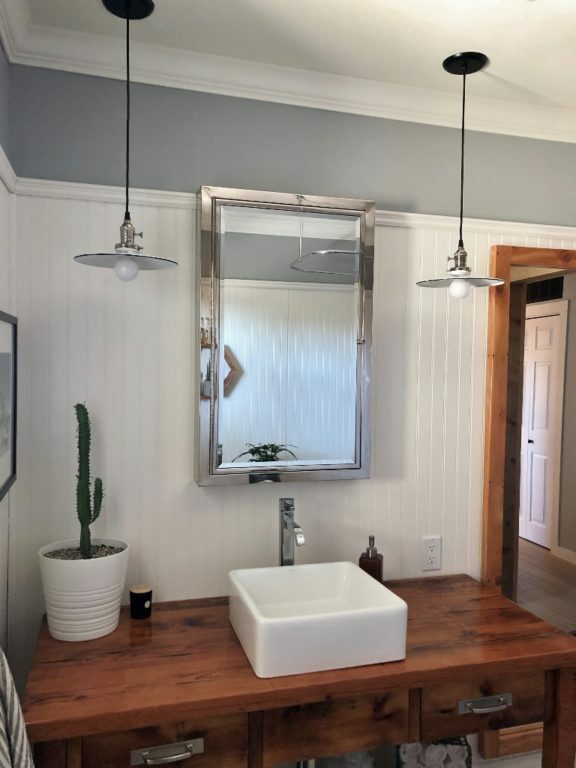 These vintage-inspired pendants complement the claw foot soaker tub in the room and operate on a dimmer switch so the couple can control the ambiance perfectly.